One of two species known as kudu, the Greater kudu is a woodland antelope native to eastern and southern Africa. Their coats can range from brown/bluish-grey to reddish-brown with four to twelve vertical white stripes along their torso. Their twisting horns are often used as musical instruments. 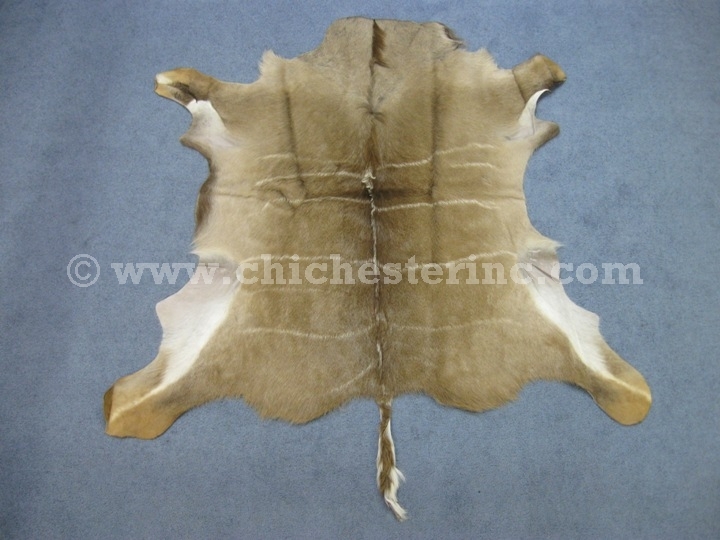 We get limited numbers of greater kudu skins from South Africa on a regular basis. 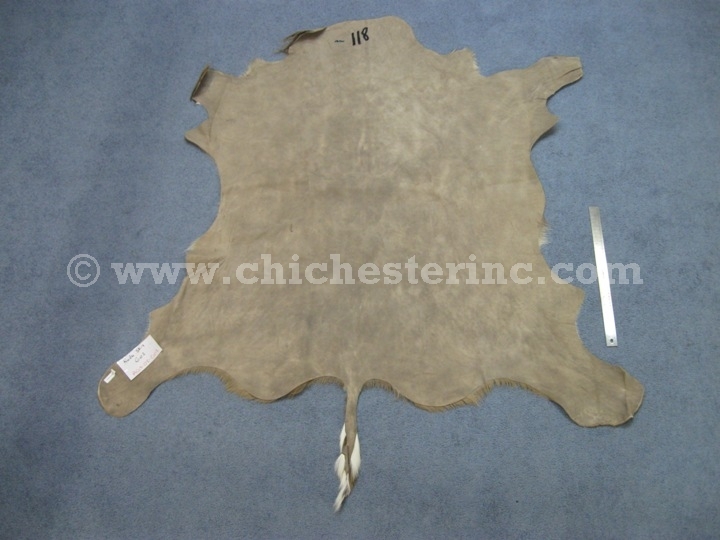 These skins are of good quality and are ideal for wall hangings or floor decor. Sizes may vary. Our Gxx codes denote individual pieces. If you would like to order a specific kudu skin, please go to our Gallery to pick the exact one shown.